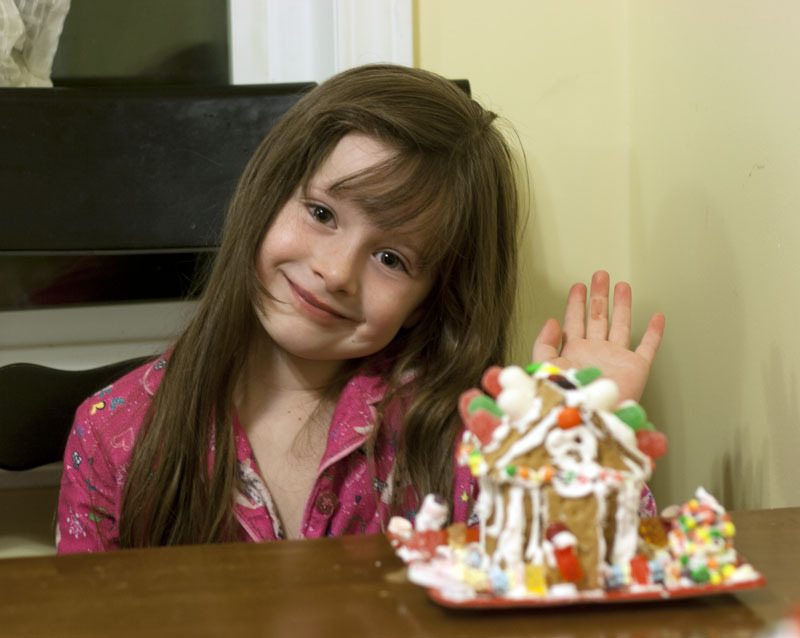 So, I am really lagging behind on Christmas prep; but I figured I’d share just in case you are looking for a last-minute friend gift for your kids or even just a fun activity. 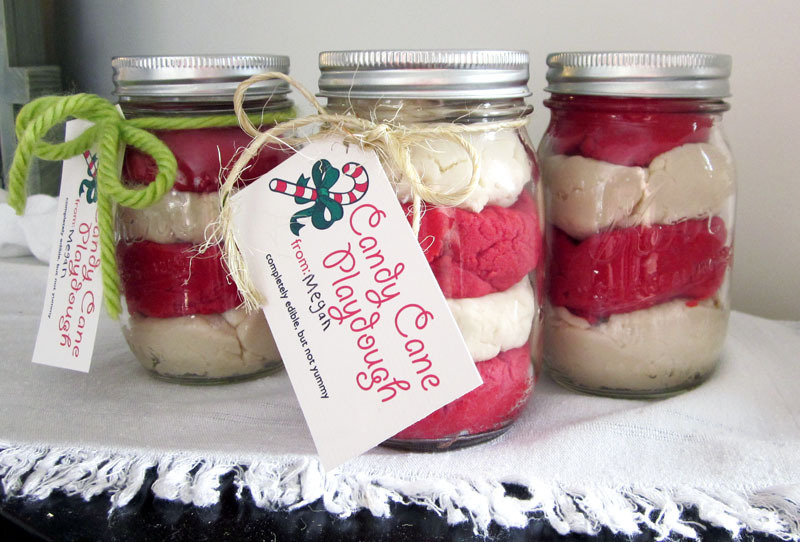 We made four batches of the recipe below, 2 red and 2 white and layered them into 9 pint mason jars. 1. Heat water to boiling in a medium saucepan. 2. Measure a generous 3 1/2 cups flour into a medium-large mixing bowl (one that holds at least 8 cups.) Reserve extra to add if the dough is too sticky. Mix in the salt and cream of tartar. 3. Once the water is boiling, whisk in the oil and food coloring. Remove from heat and add peppermint extract. Remember that it will smell strong now, but will be diluted greatly once mixed with the flour. 6. Print tags below and attach with twine, yarn, or ribbon. Emily’s house: winner in the heavy- weight division. Amanda’s decor was a little more spartan. 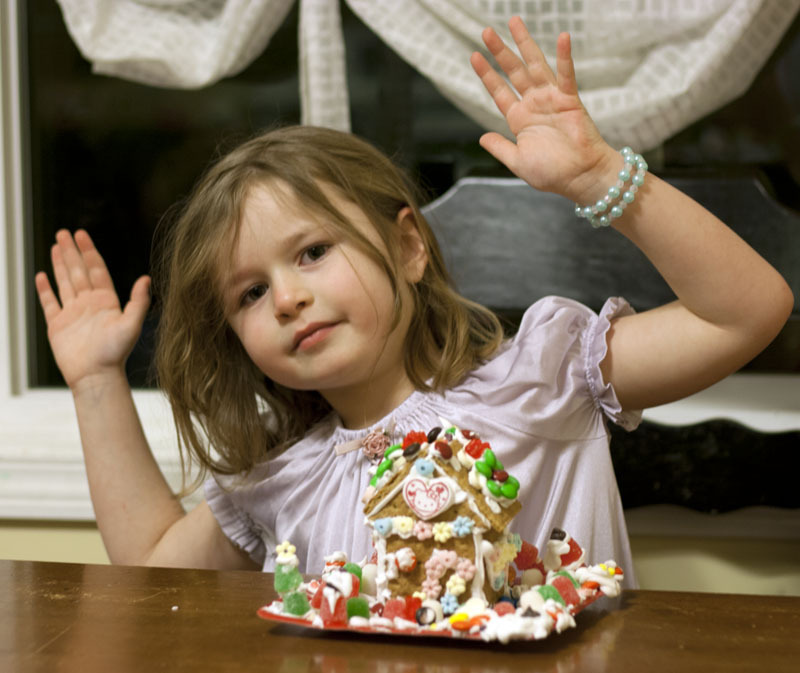 She stopped decorating as soon as she realized she could eat the candy. Mom and Dad had fun too. 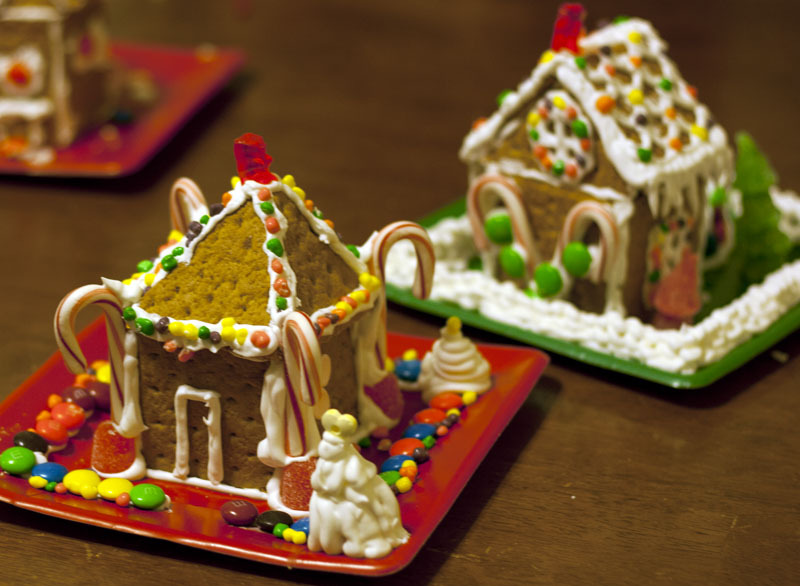 Check Mike’s creative roof and frosting trees. 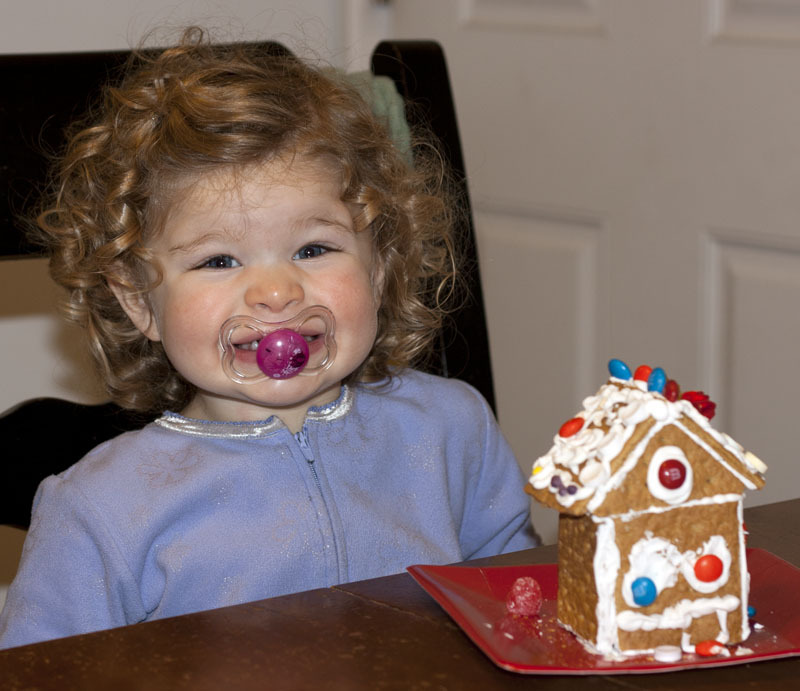 Mmmm, delicious Christmas fun.